After a long and bitter impasse, St. Louis County Executive Steve Stenger and members of the St. Louis County Council are planning to provide a pay boost for nurses who treat county inmates. The plan could get final approval from the council in the next few weeks. 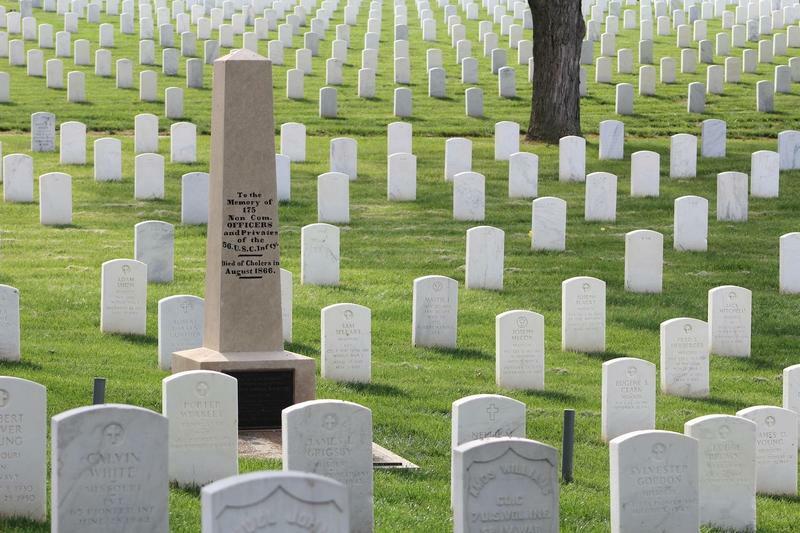 The St. Louis County Council took a big step Tuesday toward expanding Jefferson Barracks National Cemetery. The plan involves selling more than 33 acres of the roughly 70-acre Sylvan Springs Park to the federal government, which could prevent Jefferson Barracks from running out of room. The St. Louis County Council isn’t finished changing up the county’s charter. Council members on Monday sent four charter amendments for voter approval. The measures stem from an increasingly adversarial relationship between the council and St. Louis County Executive Steve Stenger. They’re slated for the Nov. 6 general election. After ruling that a proposed St. Louis County charter amendment had a misleading ballot summary, a judge struck down a measure to enact campaign donation limits and restrict fund transfers between county departments. It’s a decision that could have a major impact on future elections for St. Louis County executive. Members of the St. Louis County Council may try to subpoena people who have served as members of the St. Louis County Port Authority. 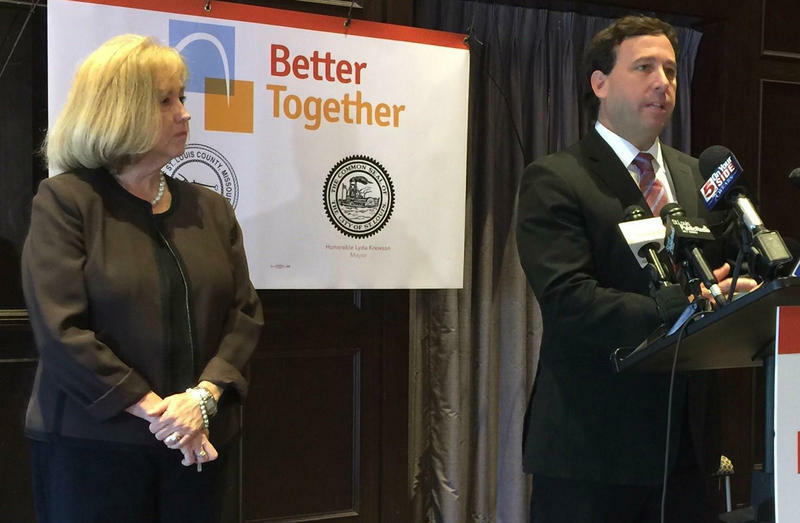 It’s the latest salvo in a long-running feud between the council and St. Louis County Executive Steve Stenger, a schism that will likely remain even if the Democratic chief executive wins his primary next month. The St. Louis County Council is planning to set up a special task force to tackle the region’s opioid problem, and is offering up to $1 million in grants to encourage people to come up with solutions. In a rare show of solidarity, the council voted unanimously Tuesday in favor of the plan. The county already has a prescription drug monitoring program. But Councilman Mark Harder, a Republican from Ballwin, said the 11-member task force is a necessary addition. The St. Louis County Council plans to recommend that federal or state law enforcement agencies investigate whether County Executive Steve Stenger broke any laws when he moved some county operations to the old Northwest Plaza shopping center. The 26-page report circulated this week by the council’s Ethics Committee takes aim at Stenger over his administration’s efforts to help redevelop the Northwest Plaza site in St. Ann. The report – to be formally presented to the full council next week -- calls for the state attorney general or the U.S. attorney to look into the matter. St. Louis County Executive Steve Stenger is refusing to go along with legislation providing raises in the Justice Center — which includes the jail. At issue is whether nurses that work in the Justice Center should get raises from a half-cent sales tax known as Proposition P.
Missouri’s recently-enacted donation limits don’t affect county and municipal candidates, which means contenders for, say, the St. Louis County Council or county executive’s office can take contributions of unlimited size. That could change, if some members of the council get their way. 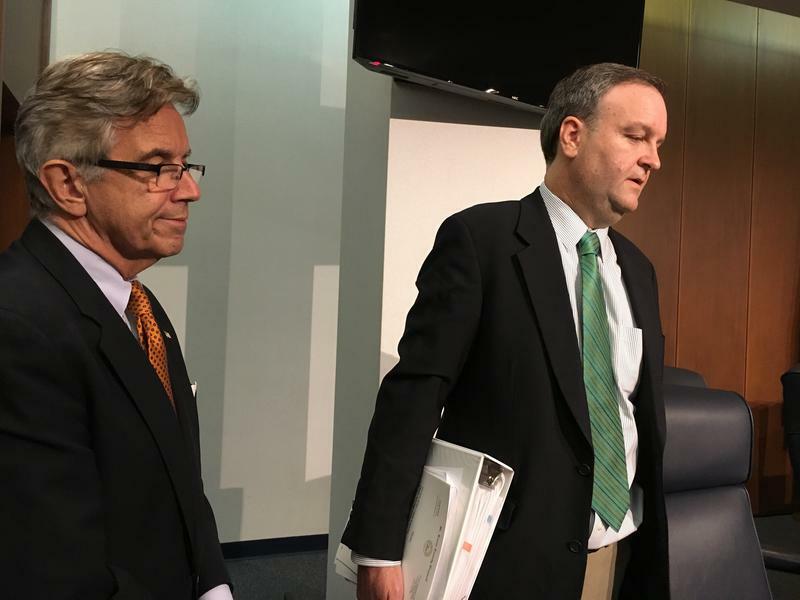 The St. Louis County Council’s decision to draw up and approve its own budget ends a longstanding practice of allowing the county executive’s administration to craft a spending blueprint. The big question now is what will happen next. The St. Louis County Council has slashed $31 million dollars from County Executive Steve Stenger's 2018 budget proposal, a move rarely seen in the region’s largest jurisdiction. Stenger was caught off-guard when he learned of the council’s plans shortly before it convened Tuesday night. Soon after, the seven members voted 6 - 1 to approve Council Chairman Sam Page's substitute budget. Updated Tuesday, Dec. 12: With the Missouri General Assembly slated to convene in a few weeks, the Municipal League of Metro St. Louis is scrambling in case state lawmakers decide to intervene in the region’s long-standing debate over a possible merger of St. Louis and St. Louis County. 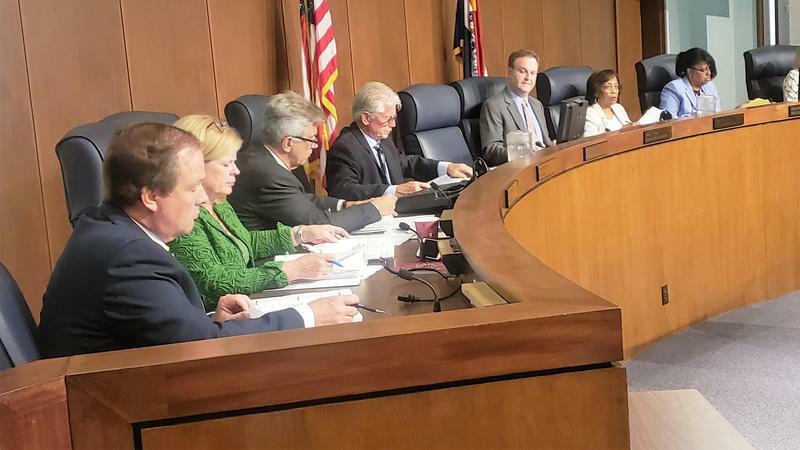 The St. Louis County Council voted unanimously Tuesday night in favor of a resolution -- signed by at least 50 area municipalities -- that opposes any sort of statewide vote on the matter. The St. Louis Board of Aldermen could face a similar request shortly. 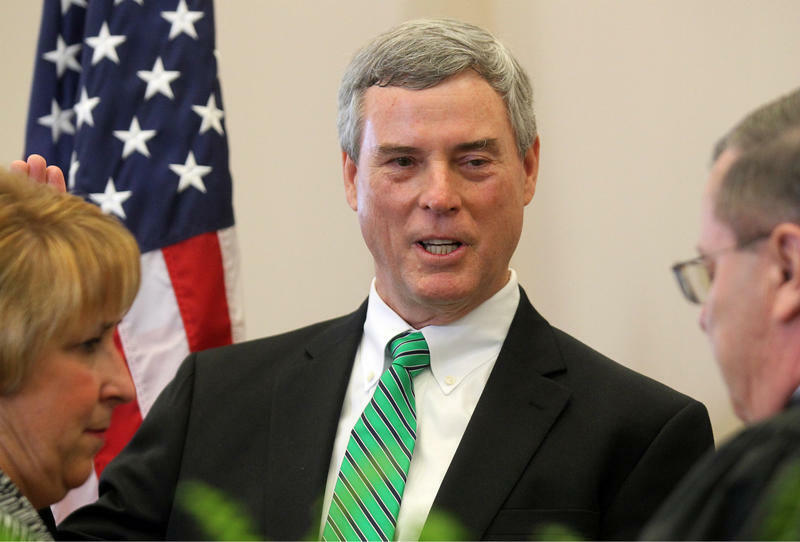 St. Louis County Prosecutor Bob McCulloch blames “political vindictiveness’’ for the County Council’s decision to get rid of a pension increase for his job that it had approved last year. Council Chairman Sam Page says the issue is fairness. St. Louis County Executive Steve Stenger is pledging that “county government will not increase taxes or cut services,’’ and accuses St. Louis County Council Chairman Sam Page of inaccurately asserting otherwise. At issue is Stenger’s proposed budget for the fiscal year that begins Jan. 1. 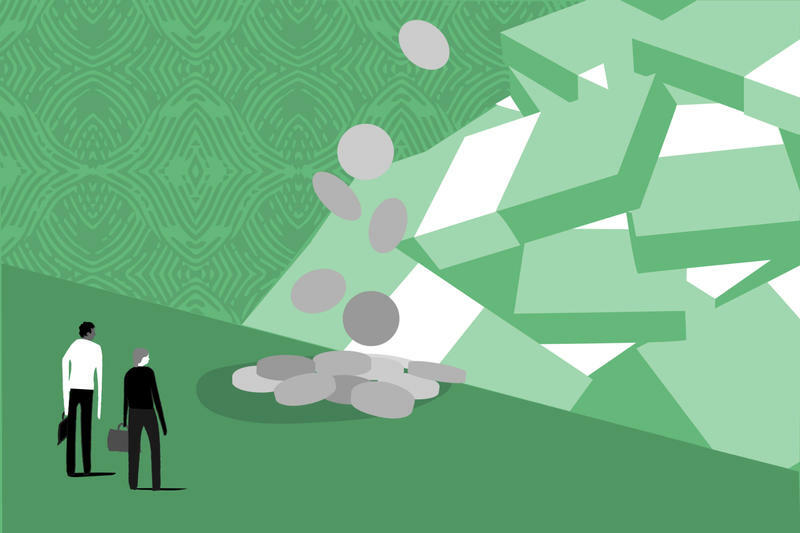 Although it is a proposed balanced budget for 2018, Page is pointing to projections in the budget document that indicate the 2019 budget might face a deficit of $18 million. A majority of the St. Louis County Council has filed suit to determine if it has any power to hire employees over the objections of County Executive Steve Stenger. The suit was filed Monday in St. Louis County Circuit Court. It contends Stenger overstepped his bounds by refusing to hire more staff for county Auditor Mark Tucker. 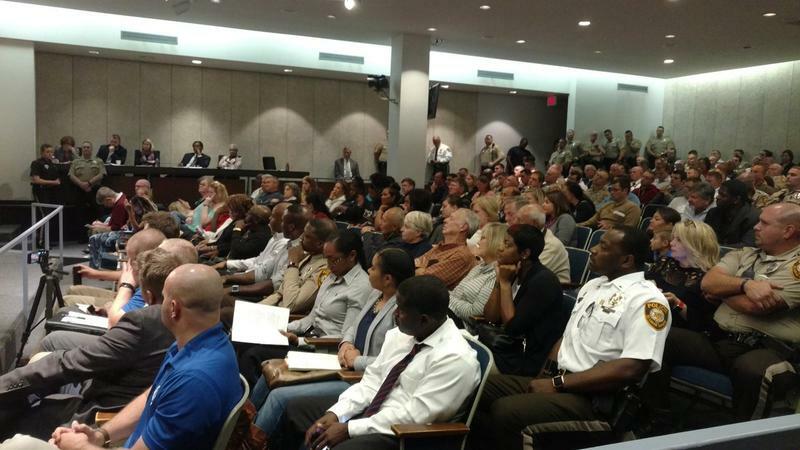 Updated Oct. 31, 2017: Before a packed crowd, the St. Louis County Council gave final approval to a pay hike for county police beginning Jan. 1. The vote of 6-0, with one absent, came after no debate. The result touched off lots of applause from police and their families packing the audience. The St. Louis County Council got an earful Tuesday before members unanimously gave initial approval to a measure increasing county police pay beginning Jan. 1. For almost two hours, council members heard mainly from St. Louis County police officers and their families concerned that the pay hike might be blocked by a pension dispute between Council Chairman Sam Page and County Executive Steve Stenger. 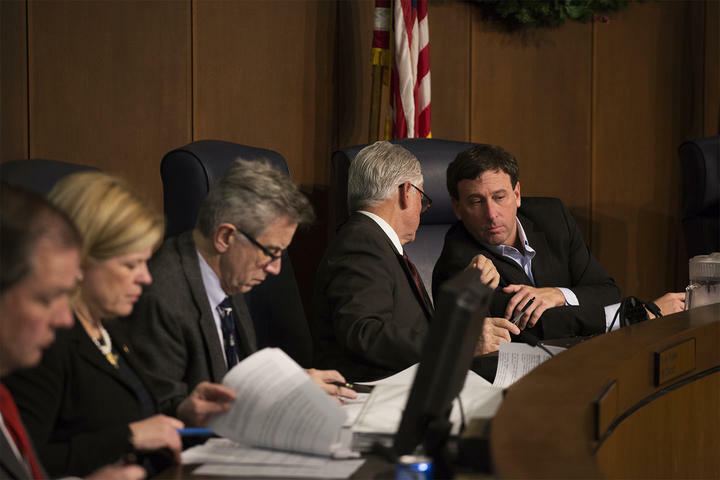 The St. Louis County Council is preparing to go to court to determine if it has the power to hire county employees over the objection of County Executive Steve Stenger. But first, a judge will have to decide who pays the council’s lawyers. All construction work would halt on the St. Louis Blues’ new practice facility under a bill introduced Tuesday by the chairman of the St. Louis County Council. Area residents have become increasingly vocal over the possible environmental impacts of the four-rink St. Louis Ice Center facility slated to go up at Creve Coeur Lake Park in Maryland Heights. The debate further illustrates the divide among councilmembers and County Executive Steve Stenger. The St. Louis County Council gave Prosecutor Bob McCulloch — with unanimous consent — a retirement-pension boost last year. That same council might take it away. The council will begin hearings Tuesday on a bill to do just that, with several council members contending that County Executive Steve Stenger mislead them last year. He denied that charge and said his adversaries on the council knew exactly what they voted on, deepening the rift that’s been exposed in recent months. St. Louis County Executive Steve Stenger always was going to have a hard time getting along with most of the St. Louis County Council. After all, the county voters filled the majority of those seven seats with people who have longstanding disagreements with the Democrat. That expected acrimony has come to pass in the form of a dispute over replacing bridges, prompting some council members to question Stenger’s ability to effectively communicate with them.